Nettle Sentinel ($0.39) Price History from major stores - Eventide - MTGPrice.com Values for Ebay, Amazon and hobby stores! 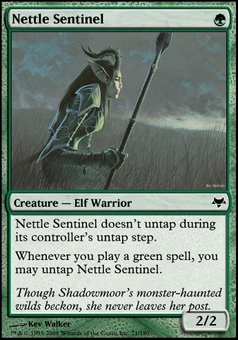 Card Text: Nettle Sentinel doesn't untap during your untap step. 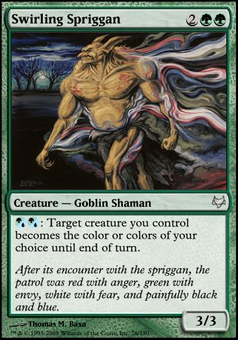 Whenever you cast a green spell, you may untap Nettle Sentinel. Flavor Text: Though Shadowmoor's monster-haunted wilds beckon, she never leaves her post.